A fat burner is a supplement that aids in weight loss by initiating several actions that result in rapid metabolism of fat in the body. Fat burners are especially helpful for persons who have tried everything to lose weight but failed. What is most surprising about them is that their action takes place not only as you exercise, but while you rest or sleep. It’s never easy for most people to steer clear of some of their favorite high-calorie foods. It is due to this that some fat burners are laced with ingredients that block the absorption of carbohydrates and fats by your digestive system. These unwanted food groups are then safely assembled and expelled from your body. Your body’s metabolic rate determine how fast or slow it burns calories. When you take a fat burner, this rate is significantly increased thereby resulting in rapid weight loss. Take note that metabolic rates slow down as you age, meaning that it becomes more difficult to shed fat as the years go by. An increase in metabolic rate spurs an increase in energy levels. 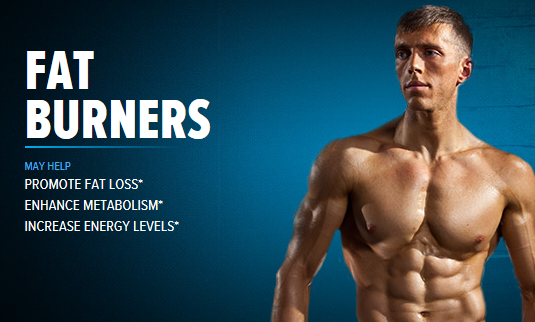 The thermogenic stimulants contained in some fat burners heighten your energy. When your body is filled with vigor, you have what it takes to carry out physical activities that facilitate weight loss. Hunger pangs and cravings for certain foods are some of the greatest challenges that people face when they try to shed weight. Fat burners on the other hand signal your brain that you are not hungry. Your calorie intake is as a result suppressed since your food intake is lowered considerably. Mood swings are common in persons wanting to lose weight or build muscle. These up and down surges of thoughts and emotions can easily throw you off track, which can severely hamper your ambitions. Fat burner manufacturers have noticed this, and have introduced ingredients that balance your mood and brain function to help you focus on your goals. • Calcium Pyruvate is commonly used in fat burners because it works by breaking down fatty cells, which cause them to be eliminated naturally. • Yohimbe, an extract from an African tree bark, is active in burning persistent body fat. It also enhances the flow of blood which makes fat oxidation a simpler process. • CLA is a naturally occurring fatty acid that helps in fat oxidation and muscle building by enhancing the efficiency of the food you consume. It is instrumental in allowing you to maintain your ideal weight, once you achieve it. • Gamma Linolenic Acid (GLA) is a substance that kills your appetite. This is done by preventing lipid cells from inflating and quelling their desire for food. • Chitosan creates a barrier in the intestines that prevent fat from getting through to the digestive system. • Caffeine is an energy booster that provides the vitality necessary to carry out strenuous activities that burn fat. • Green tea extracts boost metabolic rates and provide energy needed to oxidize fat. • Hoodia Gordonii is an extract that was used for many years by South Africans to suppress appetite while hunting. It helps keep hunger at bay which reduces calorie consumption. • Chocamine is a central nervous system stimulant which wards off hunger and rouses your brain to keep moods high. • Tyramine is an effective appetite suppressant. • 7-Keto is a by-product of DHEA, which is produced in your body. Levels decrease as you age and that is why supplementation is necessary. In addition to enhanced rates of metabolism, 7-Keto allows your body to synthesize proteins. • Geranamine is an effective appetite suppressant, thermogenic and energy booster. • R-ALA expedites elimination of sugar from your blood and breaks it down to produce energy. • Oolong tea is an extract that decreases blood sugar. • Ephedrine is a popular ingredient in many fat burners because it elevates heart rate, metabolism levels, and body fat oxidation. • Hydroxycitrate (HCA), is a fruit extract from the Garcinia Cambogia tree. It is effective in hindering the conversion of carbohydrates into fat. • Macuna Puriens helps in controlling mood swings associated with instant switches to low carb diets. The fat burner you select is highly augmented in it’s work by proper exercise and a good diet. Cardiovascular workouts are especially important. Your diet should consist mainly of whole grains, fruits, vegetables, healthy fats and protein. Carbohydrates are essential because they provide energy for metabolism, but you should consume them with care since they can quickly be converted into fats if they are excessive. Avoid sugar at all cost! About the Author: Chris Brown is a 27 year old bodybuilder and personal trainer. He has experienced the most positive results in shedding fat with the product Thermakor which he has written of in detail on his fitness blog.